At the last club meeting we learnt about one of our members, Michaela Holzem, and what she does outside the Rotary club. She gave us a presentation about her PhD Thesis that she is doing at Oxford Brookes University. 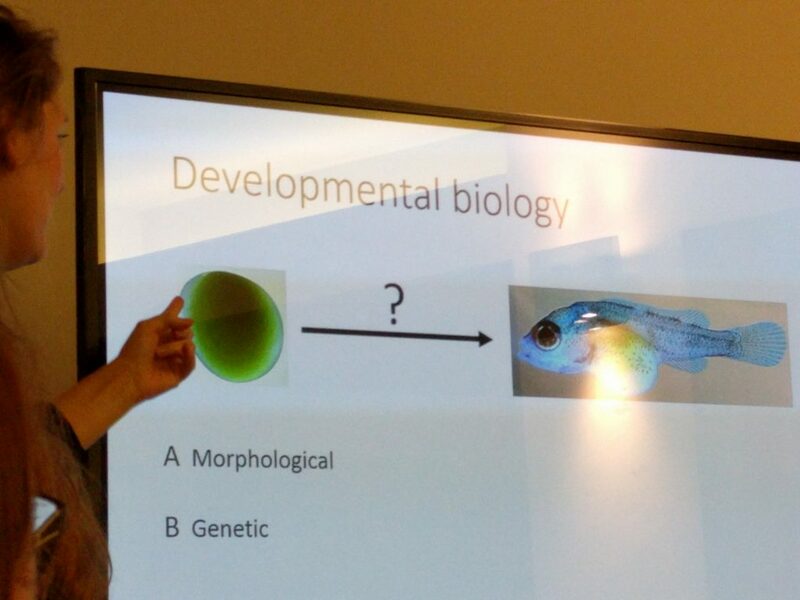 Namely, the impact of developmental biology on our understanding of evolution and the work that she has done with fruit flies. Michaela began her presentation with a summary of her past work. She did a bachelor degree in Biology and has worked on spiders as part of her work. From there she gave us a brief history on evolution and how all living creatures developed into all kinds of different species. 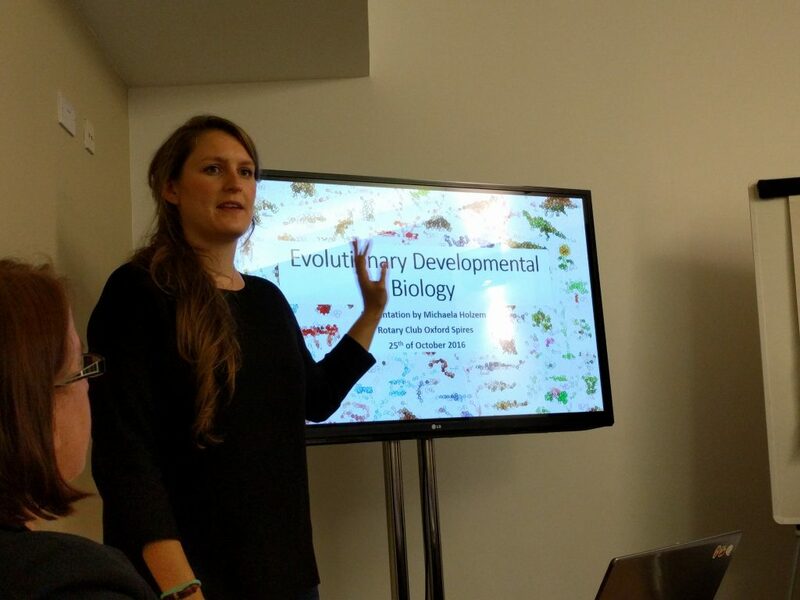 Now that we were armed with a brief understanding of this kind of biology, Michaela delved more into the work that she does. 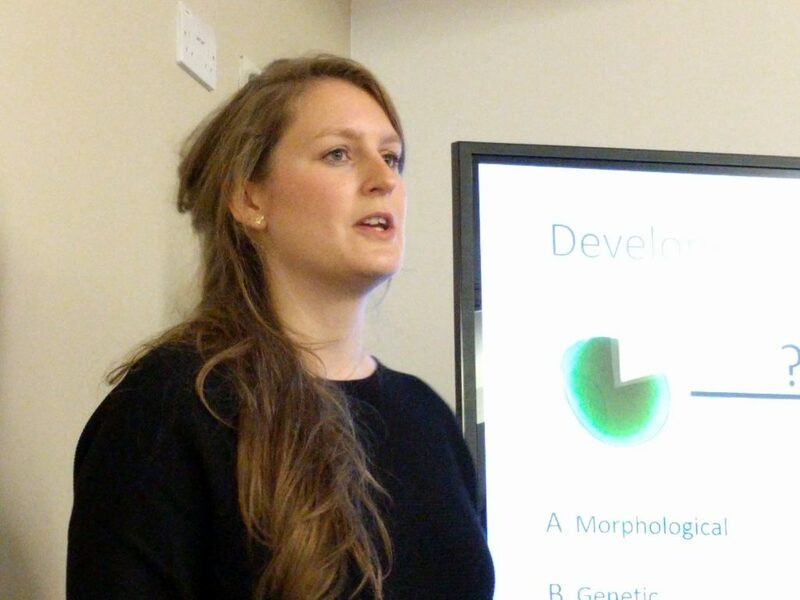 Michaela’s thesis focuses on Developmental Biology, which asks the question “How do you get from the cells in an egg to the whole, complex organism?”. She went onto explain the basics of genetic coding and the basic idea of how certain parts of genetic code develop into different parts of the body. This is where the fruit fly comes in. Because fruit flies are very easy to keep and can reproduce very rapidly, they make great candidates for Developmental Biology experiments. The meeting was fully packed with people and everyone was captivated by the presentation that Michaela gave. People were asking really interesting and engaging question, which Michaela answered in a cheerful, professional manner.